The original pioneer of crunk comedy, SHAWTY (what my name iz?) is like no other comedian you will ever witness. He is one of a kind and an unforgettable performer. Shawty has not only mastered the art of stand-up comedy, he has excelled in both film and television acting. His improv skills are well remembered from Nick Cannon’s Wild n Out show. Look for Shawty on one of your favorite TV comedy shows like “SHOWTIME at the APOLLO” or BET’s “COMIC VIEW”. 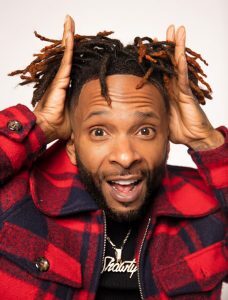 He has also been a headliner on the Super comedy Jam tour, which is the longest running comedy tour through out the southeast region. Shawty is not a stranger to the music industry. His cameo appearance on Ludacris’s album, Word of Mouf, has earned him platinum success. He has been showcased in numerous rap music videos with the CLIPSE “NEVER HEARD IT LIKE THIS”, produced by the Neptunes, which showcases the immense talent of this animated comedian, Atlanta Rapper BONECRUSHER’s #1 Billboard chart topping single “NEVA SCARED”, LIL’ JON & THE EASTSIDE BOYZ “GET LOW” & “I DON’T GIVE A…”, and FIELD MOB’S “ALL I KNOW”. SHAWTY – best known as the first comedian with rapper status!! !